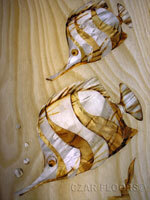 Marquetry is the art of applying pieces of veneer to a structure to form decorative patterns, designs or pictures. Techniques of wood marquetry were developed in Antwerp and other Flemish centers of luxury cabinet-making during the early 16th century. The craft was imported full-blown to France after the mid-seventeenth century, to create furniture of unprecedented luxury being made at the royal manufactory of the Gobelins, charged with providing furnishings to decorate Versailles and the other royal residences of Louis XIV. 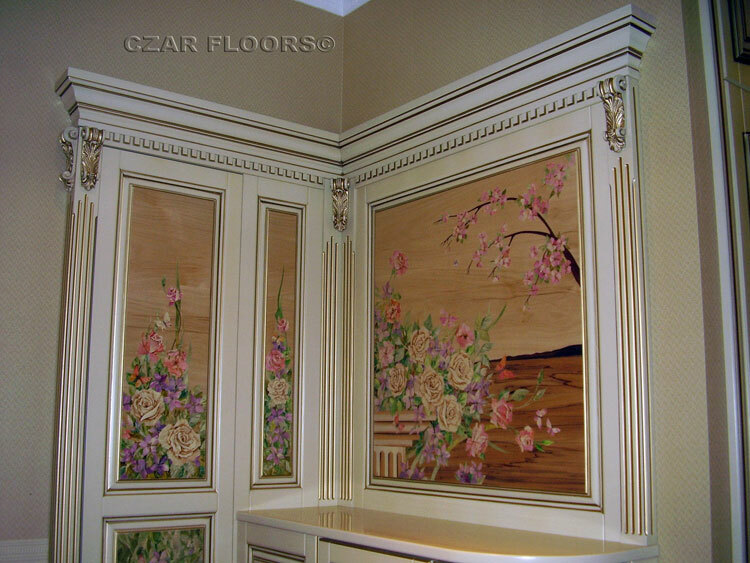 Czar Floors marquetry inlays can be used in custom cabinetry, wall panels, wall framed art, door ornaments. 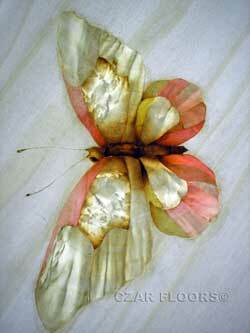 Custom marquetry inlays can be created using customer provided photo or sketch. Our artists carefully select the various wood veneers for chosen palette. Carefully selected grains and hues create an impression of 3D art with shading and detail. 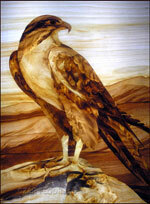 Marquetry pieces are made to order. Depending on the size and complexity the current lead time is about 6-8 weeks. 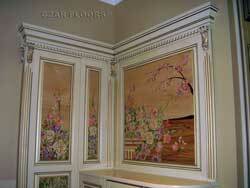 Marquetry inlays can be either sealed and lacquered or provided unfinished. 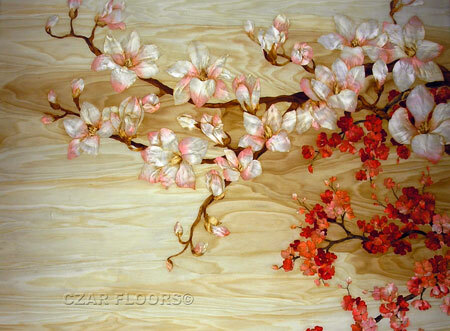 Please contact us for specific size and application of wood marquetry. Each piece is individually numbered and can be signed by the artist by request. We include a certificate of authenticity and wood identification with each purchase. 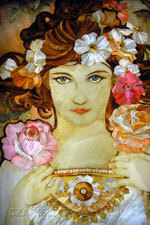 Every piece is a one of a kind artistic creation with unparalleled attention to details. 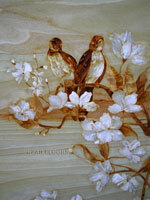 Marquetry is supplied as 1/16" thick veneer piece. 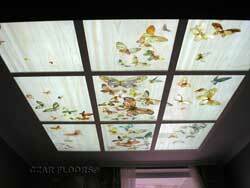 It can be used for furniture making, wall panels, ceiling panels and wall art. 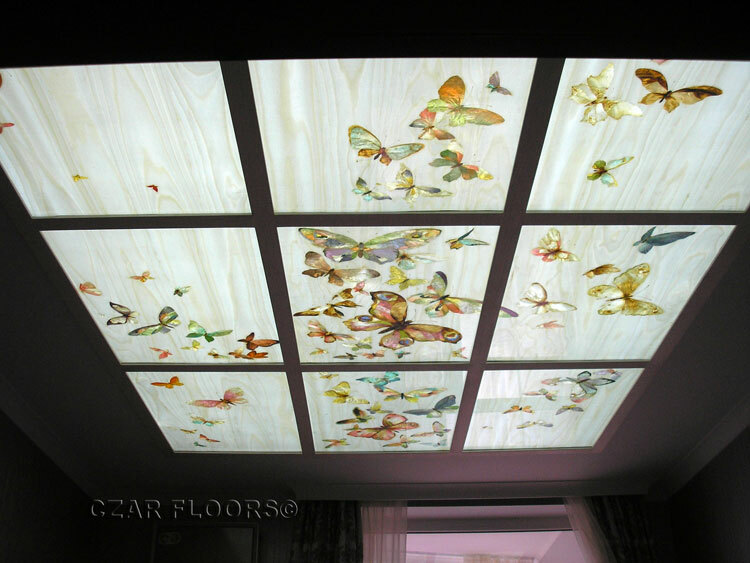 The semi-transparent nature of marquetry can be used for illuminating ceilings and table tops. 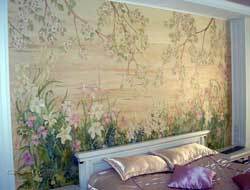 Marquetry sheets are bendable and can be used on curved walls, columns, cabinet doors, etc. 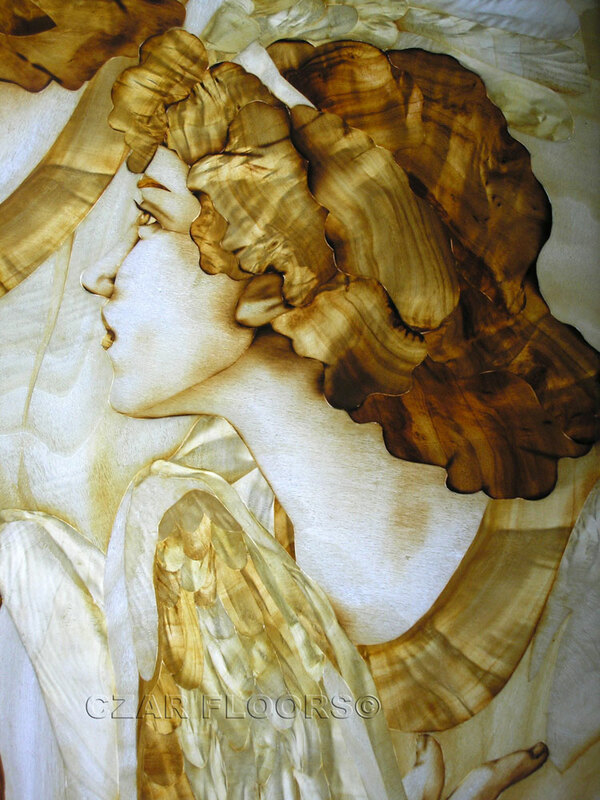 If you are interested in the custom marquetry please contact us. 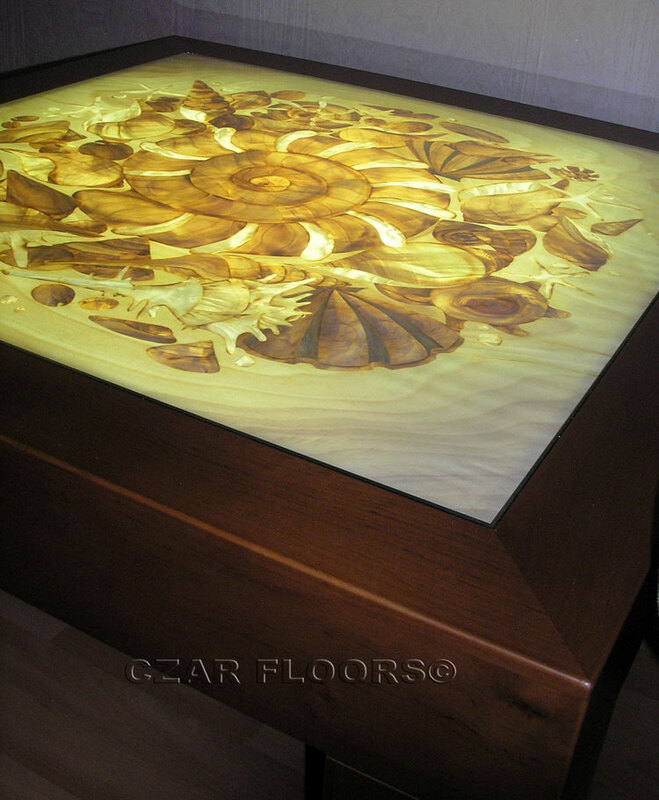 Please provide the following information for ordering: Czar Floor Model or your own sketch; Wood changes, if any; size and thickness requirement. Call us Toll free at 800-577-CZAR (800-577-2927) to place an order or make inquires.